This past week has been all about exploring the beaches of California’s Central Coast just north of Santa Barbara and it feels a little like California Dreaming as the weather has been superb. Not summer, mind you, but lots of sunshine. 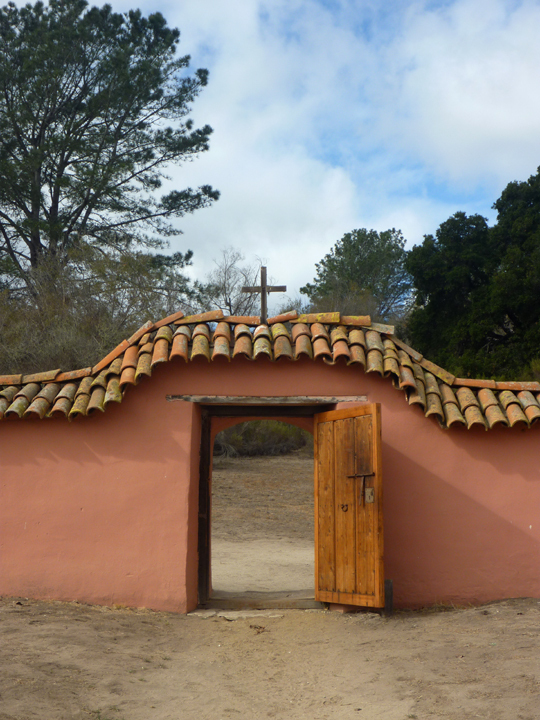 Our first stop was barely out of town in Goleta, where we hiked around the Sperling Preserve to the bluffs above the ocean and around the Monarch Butterfly Grove. We did see some good clusters of the butterflies hanging on the eucalyptus trees, but were unable to adequately capture them in photos. You will have to use your imagination,or visit their website here. 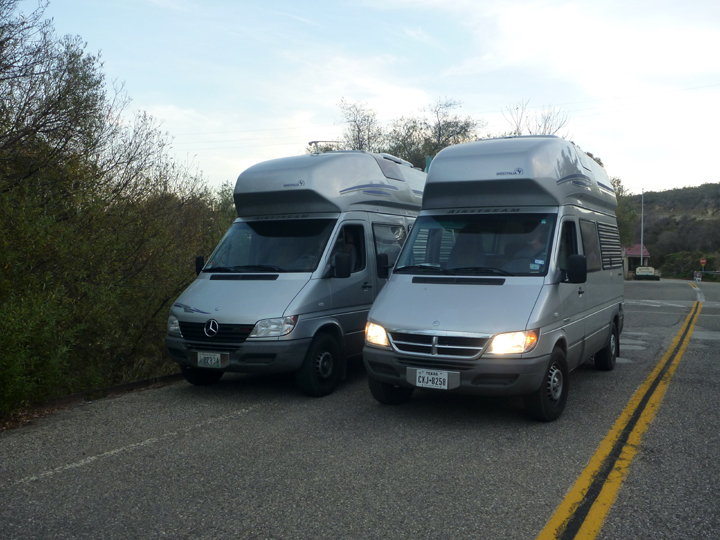 Heading north on Route 1 we stopped at Gaviota State Park thinking we’d camp there overnight. Upon arrival we found that it had been closed since October due to a sewer problem. 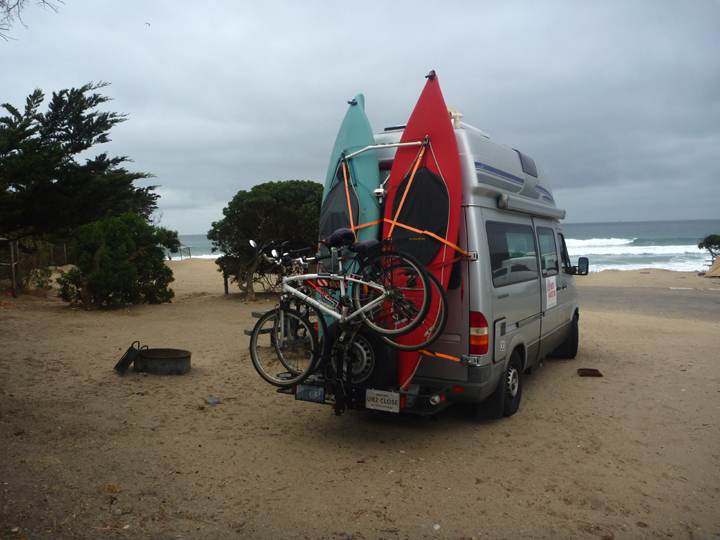 No mention of it on their website though… Anyway, as we turned around to leave, we got a big surprise – another Westy was heading in! We were all very excited about the encounter, had a quick visit, took photos and headed in our opposite directions. They are on a two-year adventure south to Mexico and South America! I almost forgot to mention that they live in Providence, Rhode Island. Quite a coincidence I’d say! 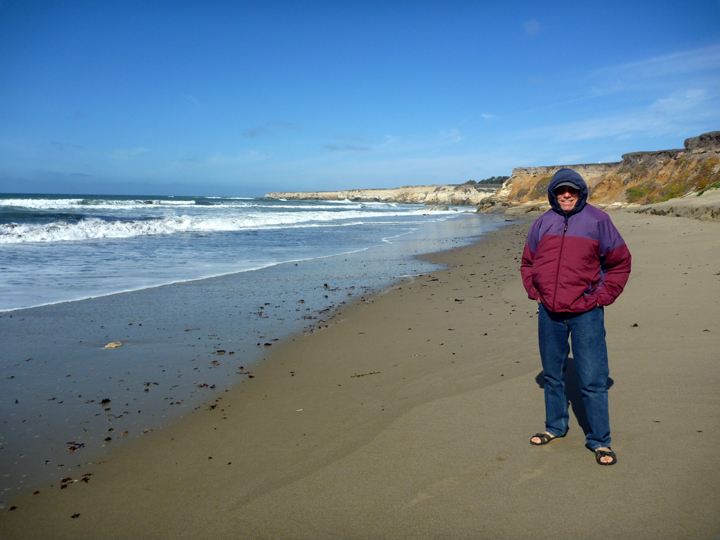 We proceeded to Lompoc where Boondocker’s Welcome host Judy offered up her driveway for our restful two-night stay. We had a very nice visit with Judy who also provided lots of travel tips and advice from her years of traveling in her Roadtrek 190. Thank you Judy, good luck with your upcoming nuptials. 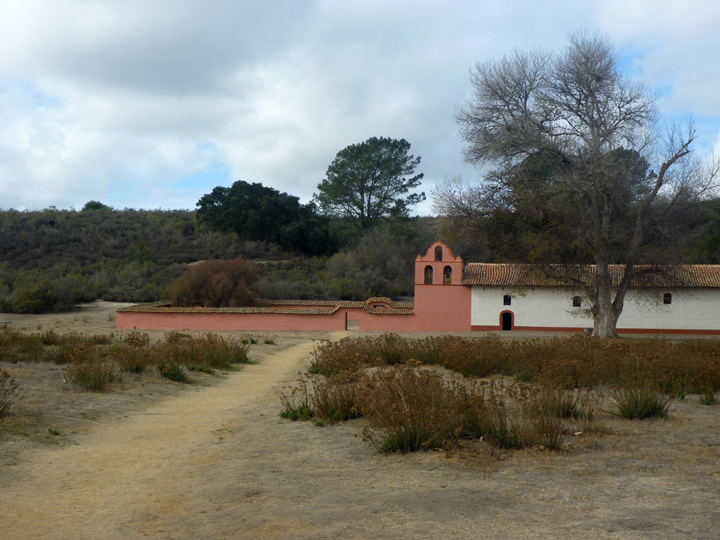 In Lompoc we visited La Purisima Mission State Park where, thanks to the Civilian Conservation Corps, the most fully restored Spanish Mission in the world stands. 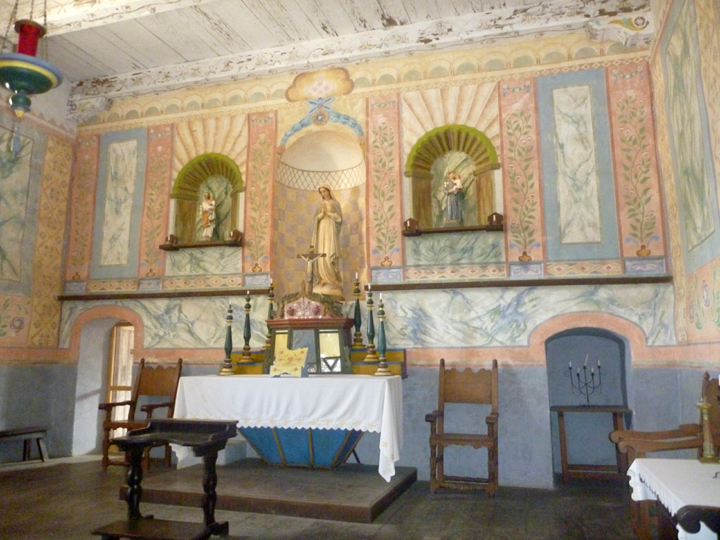 We took a very informative tour guided by a costumed docent. 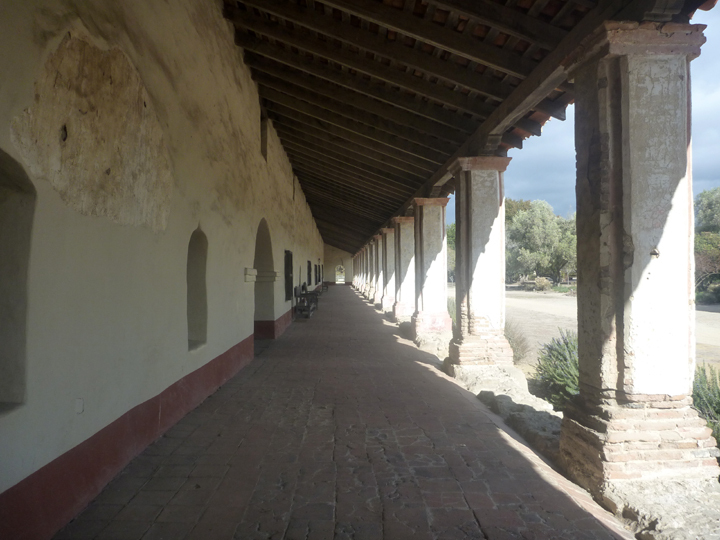 If you have an interest in the California Missions, you might want to view the park’s excellent video at the bottom of the page here. 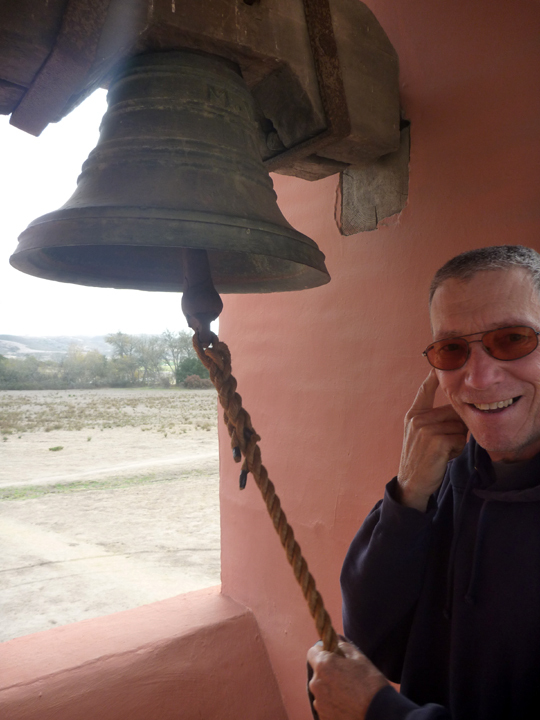 It’s not often one gets to ring mission bells, so when we were asked if we wanted to, we said you bet! These melodious bells were made in Lima, Peru. I know, you’re waiting to see the beaches I mentioned, right? 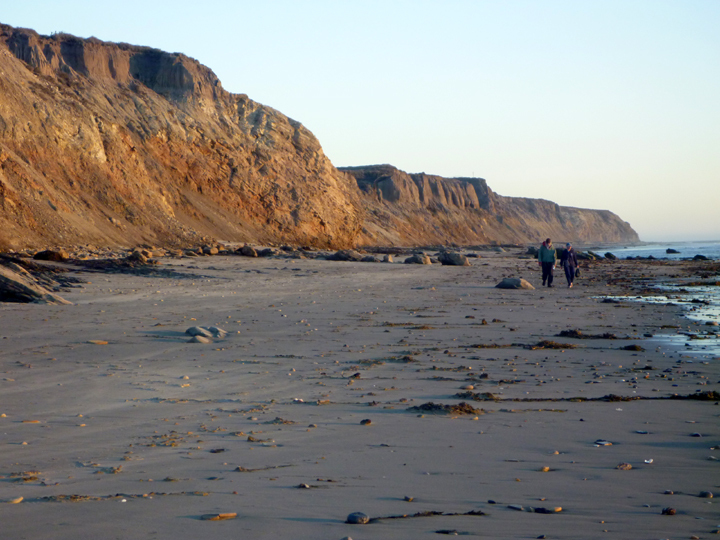 OK. We were off to one that I’d read about for years but never visited because it’s a little off the beaten trail… Jalama Beach State Park. 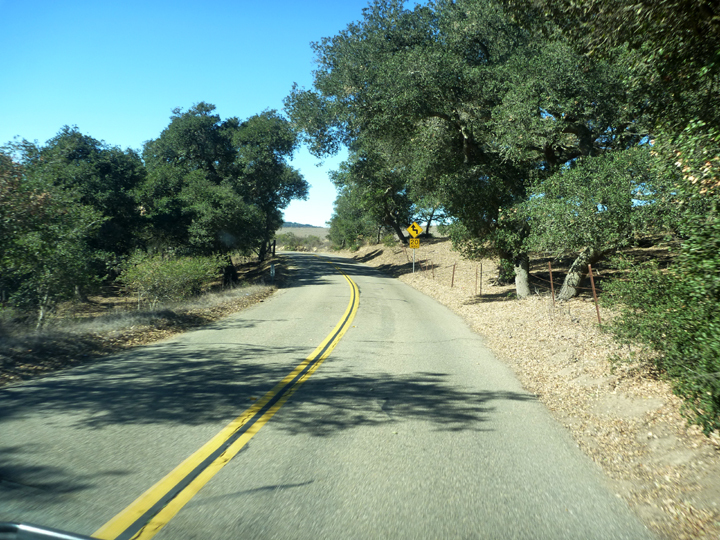 The drive down the 14-mile access road was a bit trying for the driver, but as the passenger I enjoyed what felt like a trip back in time as ranches and farms covered the rolling hills spotted with California Oak trees. 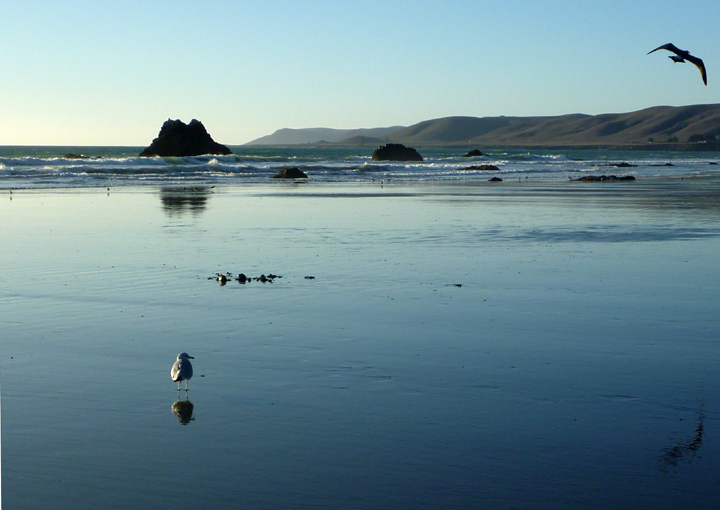 Did lots of beach walking here. The surf was so loud it almost kept us up at night. 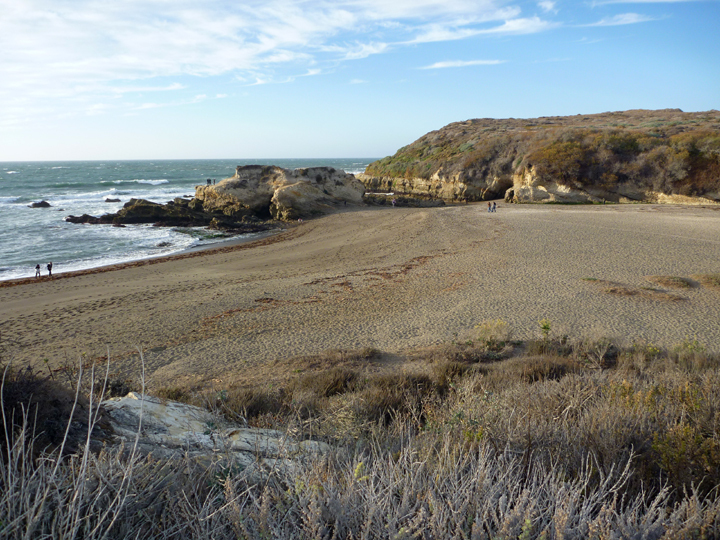 Next up was an overnight at Vandenberg Air Force Base, where we were surprised to find another beautiful remote beach that reminded us of some on Cape Cod. Good thing we didn’t plan on swimming, eh? It was a bit too cool anyway. 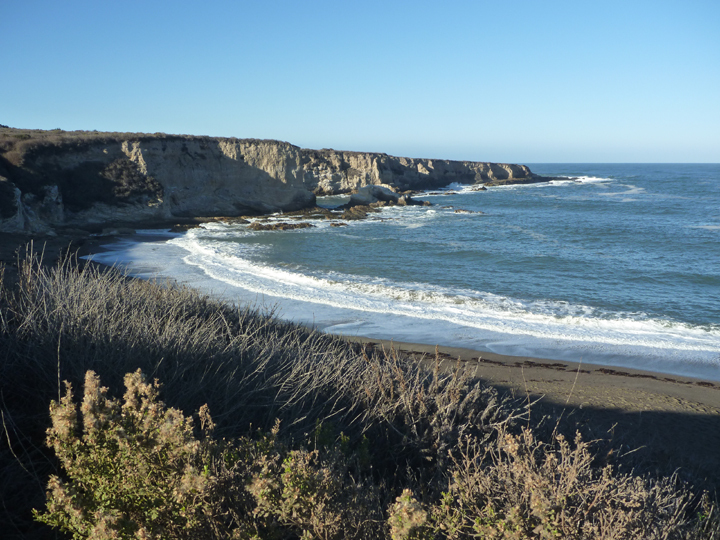 Next stop – beautiful Montana de Oro State Park, near Los Osos, CA, where several remote beaches and coves delighted our senses. 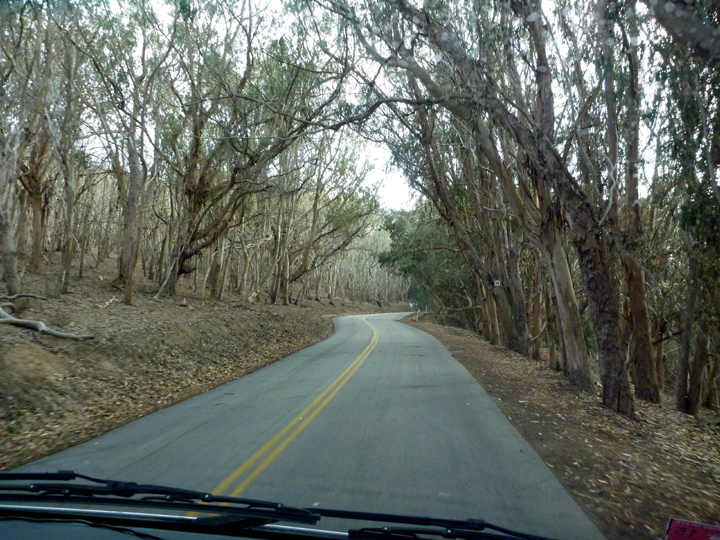 Driving through a eucalyptus forest into the park. An added treat was a grand array of stars viewed through our skylight from our bed pillows. 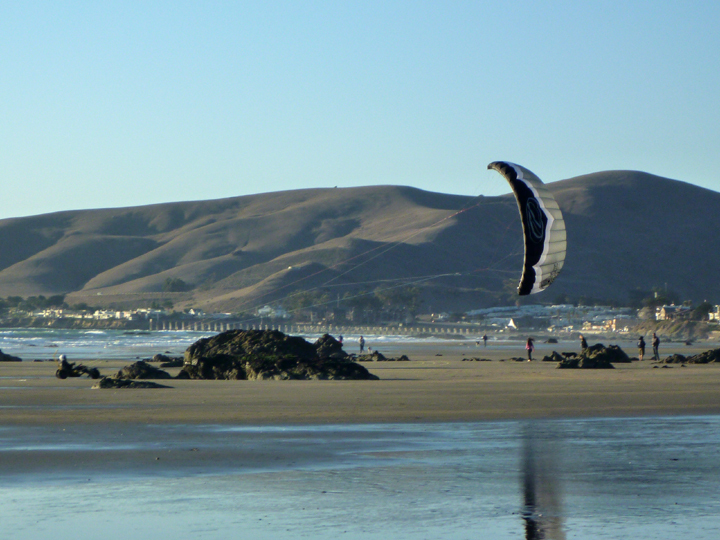 Next up was Morro Bay and the beautiful little coastal town of Cayucos. 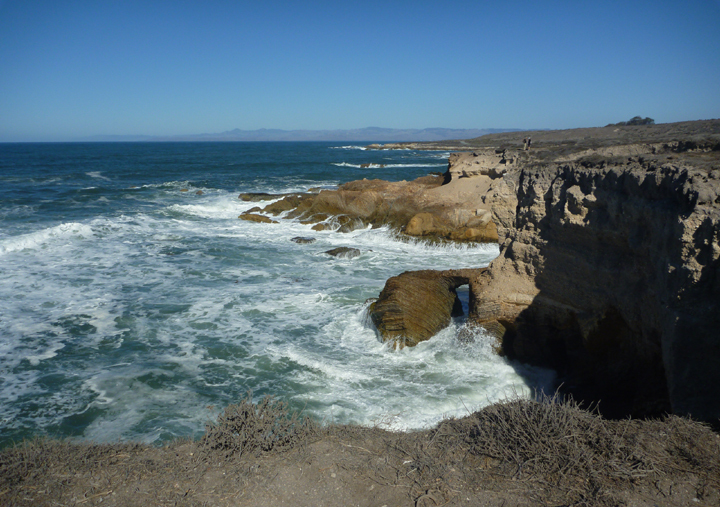 If you’re ever in the area, the Natural History Museum in Morro Bay State Park is definitely worth an hour of your time. We found it quite by accident as we parked nearby to have our lunch. 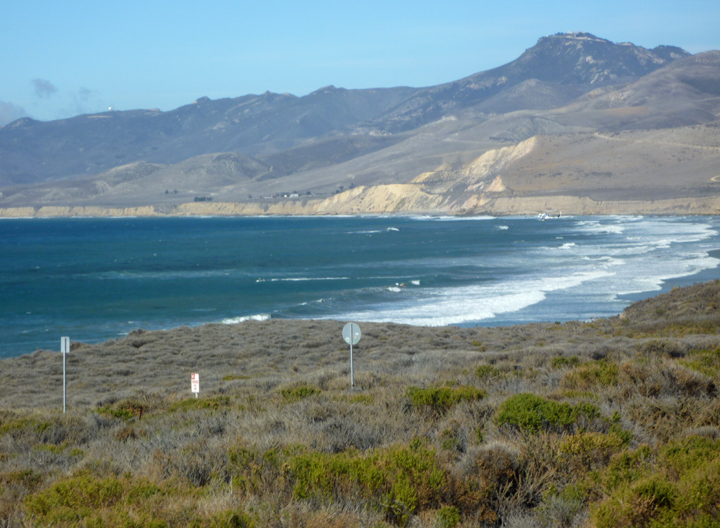 I began this post with a comment about the superb weather we’ve been experienced and now it’s actually raining as we sit overlooking the beach at Cayucos shown in the photo above. A bit of a bummer for us, but the area REALLY needs it. 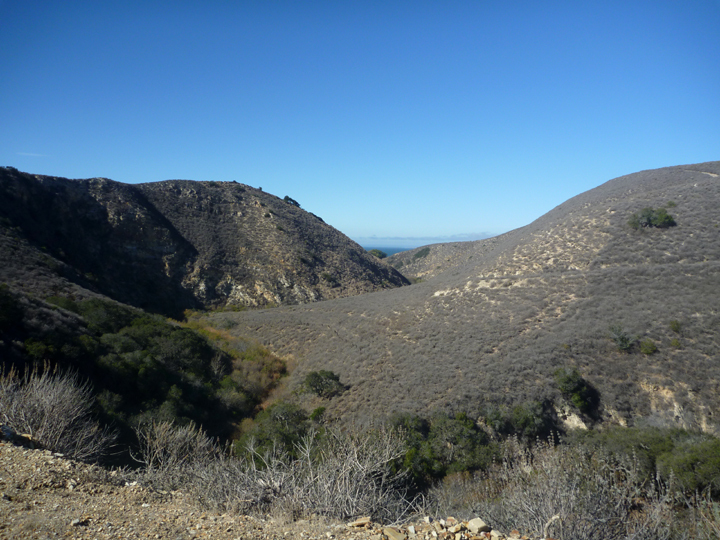 California is now experiencing it’s third year of drought and it shows. I lived here for 33 years and I’ve never seen it so dry. 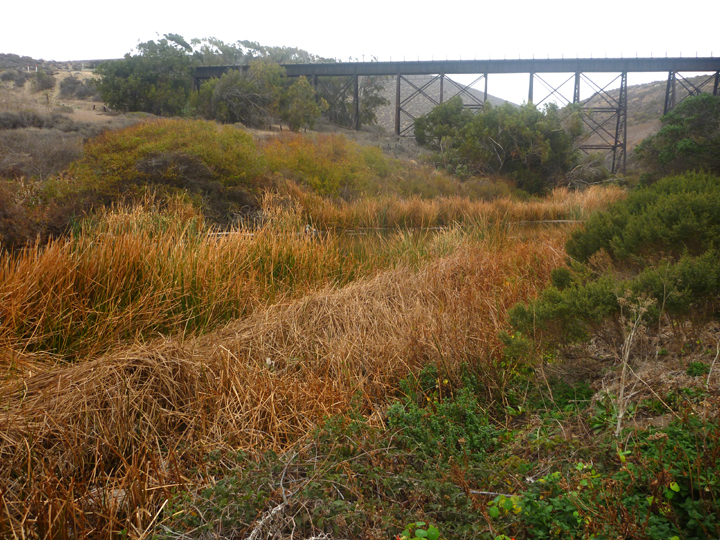 It used to be referred to as the “Green and Golden” state, but now everything is brown. You can even see that some of the trees are suffering. Therefore, we are rejoicing in the wet stuff while hoping it doesn’t last too long. The forecast calls for more sunshine tomorrow with cooler temps. 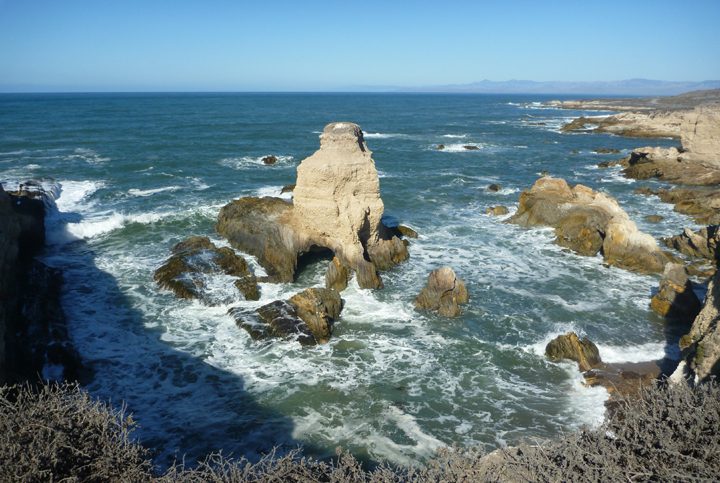 Thanks for the 411 on the central coast stops. 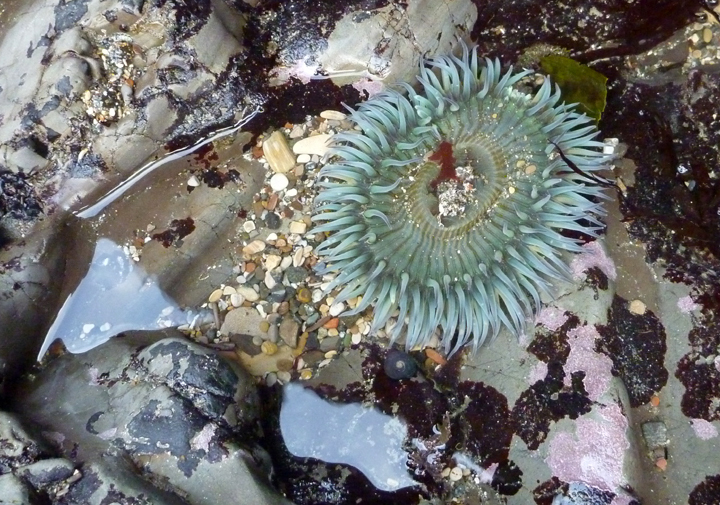 I especially liked the mission door photo and the seas urchin. Keep up the great blog. 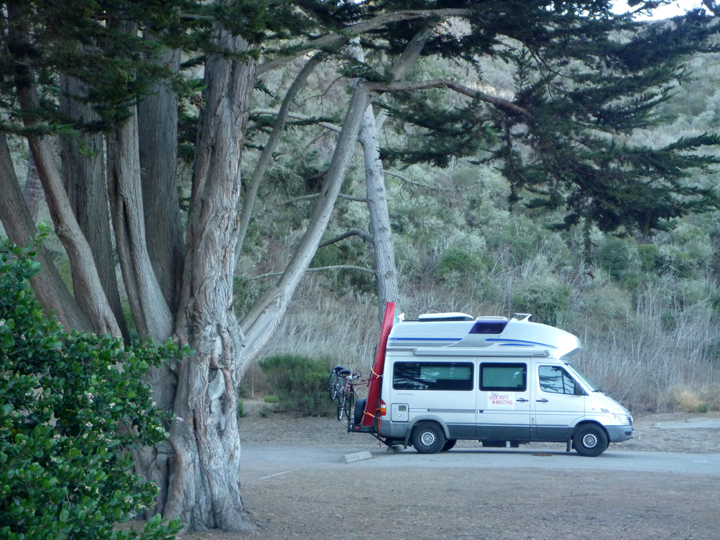 As weather warms if travels bring you to Lake tahoe, look us up for boondcking at Coyote Bluff. Thanks David. Will look forward to seeing you there some day. I tried to email you at your gmail address, but it bounced back. 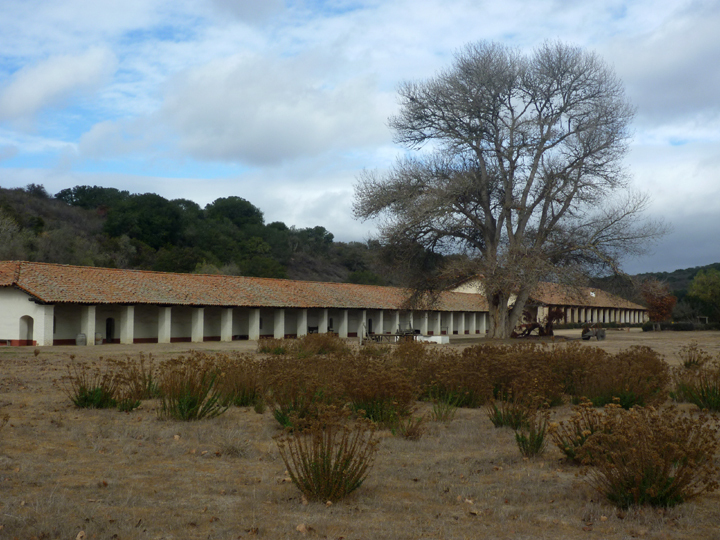 Oh, one of my favorite areas, Phil and I kept going back to the Morro Bay area, camped at Montana de Ora and stayed in funky motels in the area so many times ! 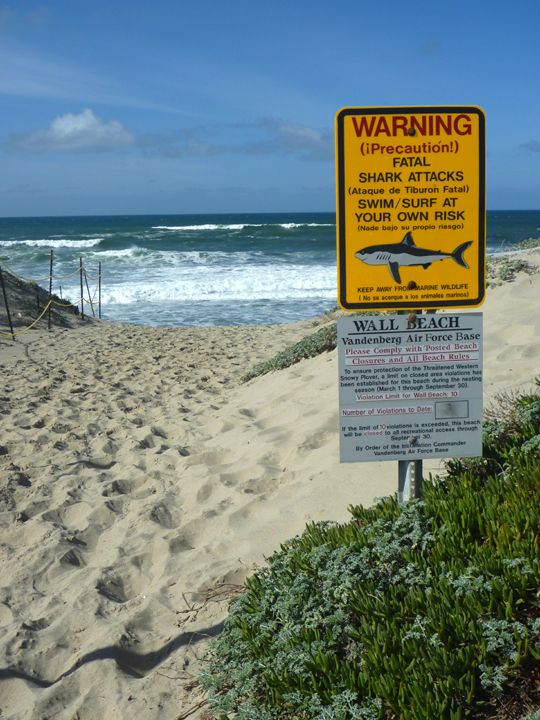 Forgot about Jalama Beach – used to be a great hamburger place there. 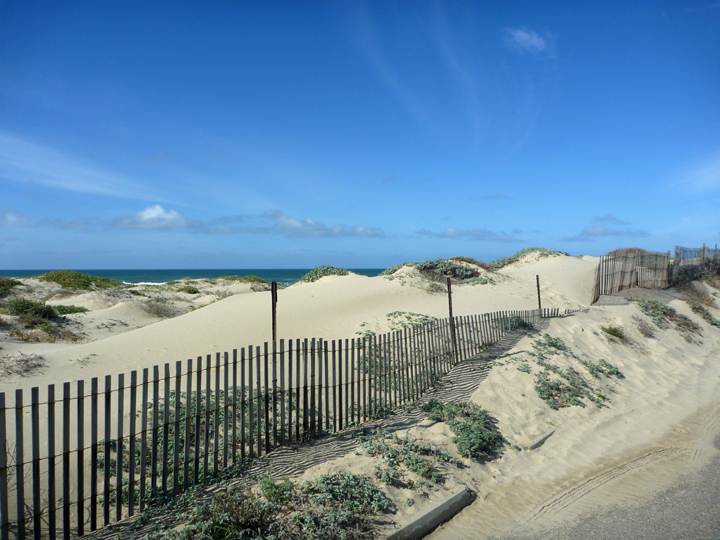 Too many memories going through my mind….. Amazing that some of ‘old beach’ California is still to be found. Sounds like HaRVy is doing well?! I knew that was one of your favorite places and thought of you and Phil while we were there. We had a burger at Jalama Beach, just had to. Glad to know the monarchs are thriving somewhere. Beautiful and interesting pics!